What Hakan Yaman most wants for his birthday – what he most deserves – is justice from the state that has so tragically failed him. Today, you can help him get it with a birthday greeting through twitter. 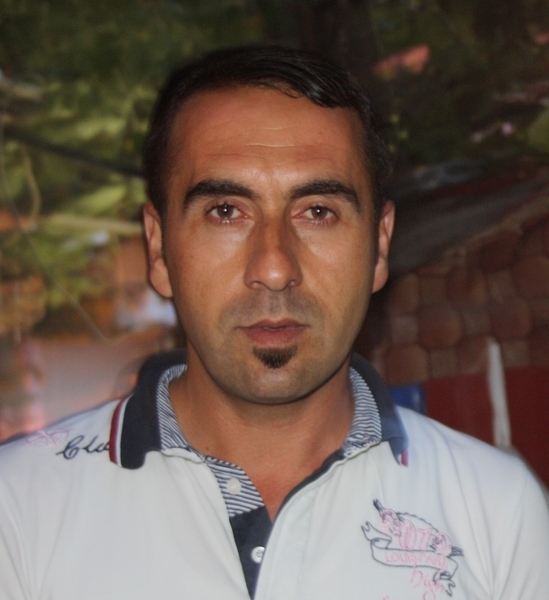 Yaman, the father of two, is one of the thousands of victims of shocking police violence which Amnesty has described in its new report on the suppression of freedom in Turkey during the Gezi protests. Yaman, himself, was not even a protester, but simply returning home from work during the course of the protests. Mistaken for a protester, he was attacked by police who beat him, and dragged him on top of a street fire. Before leaving him, one police officer gouged one of his eyes out. Hakan Yaman before he was attacked by police officers. An interview with Hakan, along with amateur footage of the actual attack, can be seen in this Amnesty video. Today, October 10, is Hakan’s birthday. He, along with other victims of police violence in Turkey deserve justice. Let’s show him that the world has not forgotten. This entry was posted in Censorship and Free Speech, Europe, Military, Police and Arms, Torture and tagged abuses by armed groups, accountability for torture, censorship and free speech, communities at risk, Europe, Human Rights in Turkey, international justice, Military Police and Arms, prisoners and people at risk, reparations for victims, rights for victims of armed groups, torture, Turkey by Howard Eissenstat. Bookmark the permalink.